The People's Liberation Army on Monday accused the Indian military of stopping the construction of a road in what it claims to be China’s ‘sovereign territory’ in the Sikkim section of the India-China border and said the move has ‘seriously damaged’ border peace and tranquillity. In a statement, the Chinese defence ministry spokesman Ren Guoqiang said recently China had begun the construction of a road in DongLang region, but was stopped by Indian troops crossing the Line of Actual Control. ‘The China-India boundary in Sikkim has delineated by historical treaty. After the independence of India, the Indian government has repeatedly confirmed it in writing acknowledging that both sides have no objection to Sikkim border,’ the statement said. ‘For China to build the road was completely an act of sovereignty on its own territory and the Indian side has no right to interfere,’ it said. Earlier, the Chinese side briefed the Indian side on this issue, it added. ‘In this context, the Indian troops unilaterally provoked trouble which was in violation of the relevant agreement between the two sides and the mutual consensus of between the leaders of the two countries,’ it said. ‘This seriously damaged peace and tranquillity in the border areas. China is committed to developing bilateral relations with India, but also firmly defend its legitimate rights and interests,’ it said. ‘We hope that the Indian side will meet China halfway, and do not take any actions to complicate the boundary problem, and jointly maintain momentum of good development of bilateral relations’. Tension mounted in a remote area of Sikkim after a scuffle broke out between personnel of the Indian Army and the PLA, leading to Chinese troops damaging bunkers on the Indian side of the border. The incident happened in the first week of June near the Lalten post in the Doka La general area in Sikkim after a face-off between the two forces, which triggered tension along the Sino-Indian frontier, official sources in New Delhi said. After the scuffle, the PLA entered Indian territory and damaged two make-shift bunkers of the Army, the sources said. After the India-China war of 1962, the area has been under the Indian Army and the Indo-Tibetan Border Police, which is the border guarding force and has a camp 15km from the international border. This is apparently the reason why China stopped a batch of 47 Indian pilgrims from crossing through Nathu La border in Sikkim into Tibet to visit Kailash and Manasarovar. Earlier, Chinese Foreign Ministry spokesman Geng Shuang told the media in Beijing that the Foreign Ministries of both the countries were in touch over the entry of 47 Indian pilgrims blocked by China from entering Tibet at the Nathu La border in Sikkim. “According to my information, the two governments are in touch over this issue,” Geng told reporters, declining to elaborate whether it was due to any weather-related issues like landslides and rains. He said the issue was being discussed by the two foreign ministries. China last week refused entry to 47 Indian pilgrims who were scheduled to travel to Kailash Mansarovar through the Nathu La pass in Sikkim. The pilgrims were scheduled to cross over to the Chinese side on June 19 but had failed to do so due to inclement weather. 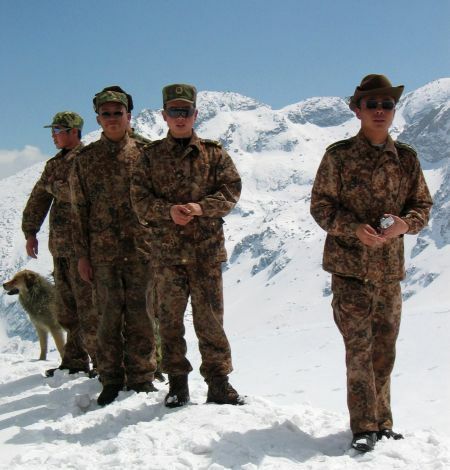 They waited at the base camp and tried to cross again on June 23 but were denied permission by the Chinese officials. This is the second route agreed by the two counties for the Kailash yatra. Till 2015 the Yatra was being organised by External Affairs Ministry since 1981 only through Lipu Pass in the Himalayas connecting the Kumaon region of Uttarakhand in India with the old trading town of Taklakot in Tibet. The Nathu La route enabled pilgrims to travel 1500 km long route from Nathu La to Kailash by buses.